IF MY CAR IS REPOSSESSED CAN I GET IT BACK IF I FILE A ST LOUIS BANKRUPTCY? Yes, you certainly can. But timing is of the essence. So if your car was recently repo’ed, then you will need to move quickly. One of the main reasons why someone might contemplate a St. Louis Chapter 13 bankruptcy is a repossessed car that they wish to keep. So long as the case is filed during the period of time that the car creditor still has the car in its possession, filing a bankruptcy will prevent the creditor from re-selling the car. By Missouri law, the car creditor must hold on to the repossessed car at least ten (10) days after taking the back the automobile before it can turn around and sell it again. If your St. Louis bankruptcy is filed before that time, then you can get your car back. A Chapter 13 not only allows you to get the car back, but it also allows you to repay the loan at a much lower interest rate. As of April 22, 2013, the interest rate on loans used by the bankruptcy court is 3.12%. That is usually quite a bit lower than the rate of interest used by most creditors (which can sometimes be as high as 25% or more). This repayment plan can therefore shave off several thousands off of what you would have owed otherwise. 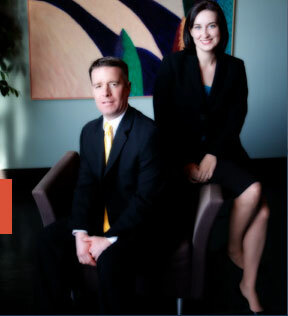 An experienced St. Louis bankruptcy attorney can make sure that your car is kept safe from your creditors, get rid of any unsecured debt that you may have (like credit cards and medical bills), and help put you on a path towards financial success. All of our staff at Brinkman & Alter, LLC take pride in answering all of your questions promptly, describing your full range of options, and creating a fresh start / clean slate.